Closing costs are expenses over and above the price of the property in any real estate transaction. Costs incurred include loan origination fees, discount points, appraisal fees, title searches, title insurance, surveys, taxes, deed-recording fees, and credit report charges. Prepaid costs are those that recur over time, such as property taxes and homeowners’ insurance, and the lender states these costs in a good faith estimate within three days of a home loan application. You should be presented with a Loan Estimate when you apply for a mortgage as well as a Closing Disclosure before you sign your loan documents. (If the terms of your loan are altered before closing, you may request an updated Loan Estimate and more time to review it.) The Loan Estimate displays the loan amount, interest rate, monthly payment, estimated costs and an estimate of what you will pay at closing. The Closing Disclosure shows similar information with considerable detail regarding specific costs you and the seller will need to pay to complete your transaction. The federal Consumer Financial Protection Agency designed these forms and introduced Oct. 3, 2015, to help you understand your mortgage and estimate the costs you’ll have to pay. While the forms may appear simple, they contain important information that should be read very carefully. Upon receiving the Closing Disclosure, compare the information to your latest Loan Estimate. If there are any discrepancies, information you don’t understand, questions about the forms, your costs, or what you must pay when pay and when, ask your real estate agent or loan officer to explain the information to you. Application fee: lender’s cost to process your loan application. Commitment fee: this guarantees a loan at a later date even though the credit is not being used at the time. Document preparation: document prepared by the lender for getting you a loan. Funding fee: money used to transfer your loan money. Origination or lender fees: money charged by the lender for preparing your loan. Processing: money charged by the lender for processing your loan. Tax service: money collected by your lender and placed in your escrow account and then it is put toward your property taxes. Administrative Fee: usually covers document preparation. Underwriting: fee charged for taking a risk with your home loan. Generally between 0.5 and 1% on mortgage loans in the United States, origination fees are quoted as a percentage of the total loan. For example, if a lender receives a 1% fee for originating a loan, it makes $1,000 on a $100,000 loan, or $2,000 on a $200,000 loan. Buyers with large loans can often negotiate lower origination fees, because lenders can make concessions to earn their business. Since a $50,000 loan usually requires the same amount of work from the lender as a $500,000 loan, the origination fee can represent a higher percentage of the loan amount on smaller loan amounts. Appraisal: This charge pays for an appraisal report made by an appraiser. Credit report: This fee covers the cost of a credit report, which shows your credit history. The lender uses the information in a credit report to help decide whether or not to approve your loan and how much money to lend you. Flood determination: This is paid to a third party to determine if the property is located in a flood zone. If the property is found to be located within a flood zone, you will need to buy flood insurance. The insurance is paid separately. Home inspection: Fee to verify the condition of a property and to check for home repairs that may be needed before closing. Pest inspection: This fee is to cover inspections for termites or other pest infestation of your home. Survey: The lender may require that a surveyor conduct a property survey. This is a protection to the buyer as well. Usually the buyer pays the surveyor’s fee, but sometimes this may be paid by the seller. Title insurance binder: Commitment to issue a title insurance policy at future date. Lender’s title insurance: The cost of the lender’s policy, which protects the lender’s investment. Owner’s title insurance: The cost of the owner’s policy, which protects the homeowner’s investment for as long as they, or their heirs, own the property. Settlement: This fee is paid to the settlement agent or escrow holder. Responsibility for payment of this fee can be negotiated between the seller and the buyer. Title search: The fee to search the public records of the property you are purchasing. A title search is conducted to ensure that the person selling the property actually owns it and that there are no outstanding claims or liens against the property. Document Preparation: This fee covers the cost of preparation of final legal papers, such as a mortgage, deed of trust, note, or deed. Notary: This fee is charged for the cost of having a person who is licensed as a notary public swear to the fact that the persons named in the documents did, in fact, sign them. Attorney fees: Both the homebuyer and the seller might have their own legal representation to prepare and record legal documents. Who pays for those services is a matter of contract negotiation. Recording fees: These fees may be paid by the buyer or the seller, depending upon your agreement of sale with the seller. The buyer usually pays the fees for legally recording the new deed and mortgage. Recording fee: money used to pay the county clerk to record the purchase of the property. City/county/state tax stamps/intangible tax: tax charged to change ownership of the property. Prepaid: items prepaid before closing, such as insurance premiums. 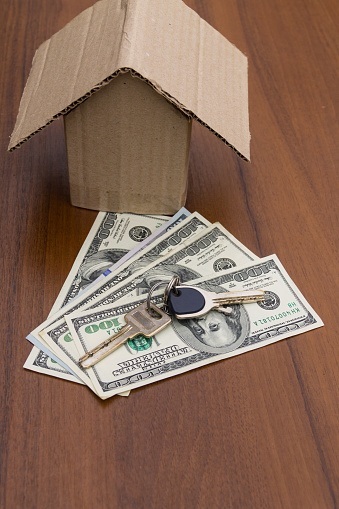 Escrow: money set up in an account to be used to pay real estate taxes. * Rates shown assume a purchase transaction. * Annual Percentage Rate (APR) calculations assume a purchase transaction of a single-family, detached, owner-occupied primary residence; a loan-to-value ratio of less than 80% for conventional loans; a minimum FICO score of 740; and a loan amount of $300,000 for conforming loans, unless otherwise specified. * Annual Percentage Rate (APR) calculations assume a purchase transaction. * Rates may be higher for loan amounts under $300,000. Please call for details. * Rates are subject to change without notice. * Closing Costs assume that borrower will escrow monthly property tax and insurance payments. * Subject to underwriter approval; not all applicants will be approved. * Fees and charges apply. * Payments do not include taxes and insurance. * Assumes – 30 Day Rate Lock. * Rates based on California property. * Mortgage insurance will be required for all FHA, VA and USDA loans as well as conventional loans where the loan to value is greater than 80%.